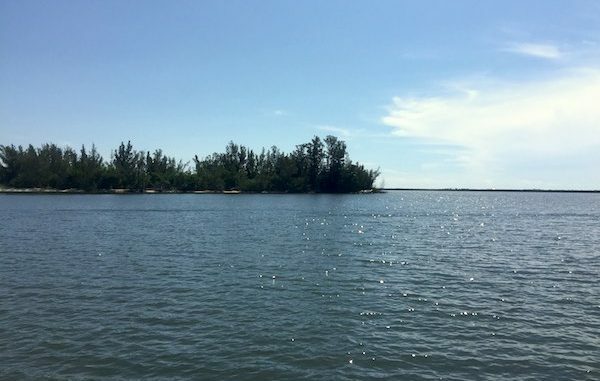 Red Tide tested positive in two small areas of the Indian River Lagoon. SEBASTIAN – On Wednesday evening, Florida Fish and Wildlife Conservation Commission confirmed a “low” presence of Red Tide in the Indian River Lagoon. The agency has five levels, “low” being third on the legend. A “low” reading is greater than 10,000-100,000 “Karenia brevis cells per liter.” There are areas on the beach that are greater than 1,000,000. There are two areas where Red Tide was found in the Indian River Lagoon. The samples were taken Tuesday. We don’t know what impact this will have on the Lagoon since it’s a low reading, we never saw any sign of it today. Sebastian Daily found dead fish from Red Tide at the Sebastian Inlet, but no dead wildlife was present in the Lagoon. Many people were boating, kayaking, fishing, and the air quality was good. On Thursday, we will observe the Indian River Lagoon.